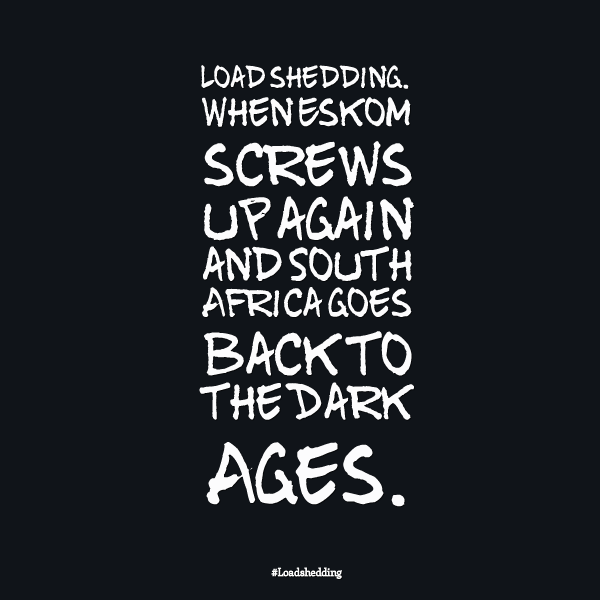 When South Africa’s electricity gets turned off due to massive ineptitude and avarice on behalf of the country’s only power provider. 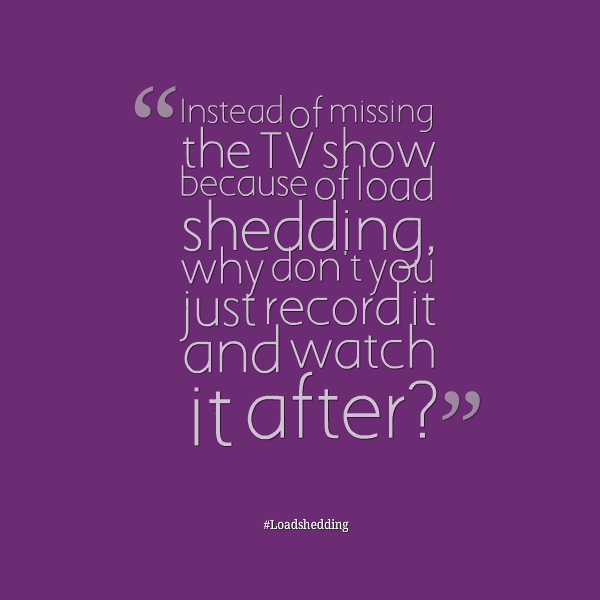 I have to provide the definition because it’s come to my attention that people in 1st world countries have no clue what load shedding is. Until a few years ago, neither did we. Yesterday, I had a fascinating and insightful conversation with a lady in the UK. I’m sure that helped a whole lot. I didn’t set out to be deliberately obstructive. Promise. So, we moved on to the times when most people are online. It’s a very good insight into the deteriorating state of government affairs and infrastructure in the face of extreme incompetence. After that call I didn’t know whether to laugh or cry. So, I chose to laugh. I’ve nominated you for Spread the Love challenge.